The general answer to the question: Are timeshare presentations in Puerto Vallarta scams? is “NO”, although with anything in life there is always a risk involved. But what most people mean when they ask that question is whether you are going to get ripped off by some here-today-gone-tomorrow timeshare fraud. Mexico has received a lot of negative attention when it comes to timeshare and there was a spate of scams in the late 90s that did a lot of damage to the reputation of the timeshare industry in general. 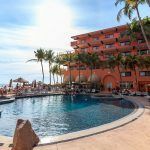 However, Puerto Vallarta is about as safe as they come with regard to the number of reputable timeshare companies although as with any venture, you should check out the timeshare company before you buy a property. The great thing about being approached by timeshare promoters in Puerto Vallarta, and Mexico in general, is that timeshare representatives have to receive permission to be able to invite tourists on the streets or promote the presentations in public places. And so, all genuine timeshare reps will have an ID card issued by the local authority. This move has helped to clean up the timeshare reputation in Puerto Vallarta as there were some cases where fraudulent sellers were getting tourists to attend timeshare presentations for resorts that did not exist or were not built. 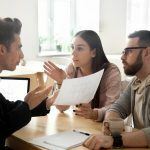 In this way, you can be sure that if you are approached by a promoter with an official ID, the timeshare company they represent are legitimate. Most reputable timeshare presentations in Puerto Vallarta will also offer you genuine gifts with no catch. 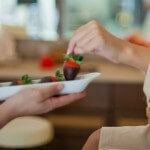 The kinds of gifts you might expect range from discounted tours, restaurant vouchers, a free breakfast or day pass at the resort to discounted accommodations and car hire. If you are offered a gift that seems way too over the top, you would do well to take caution and look out for any signs of a scam. However, the great news is that Puerto Vallarta is pretty safe when it comes to timeshare scams, although you might end up being convinced to buy a vacation home after all when you see the amazing resorts and residence clubs on offer.